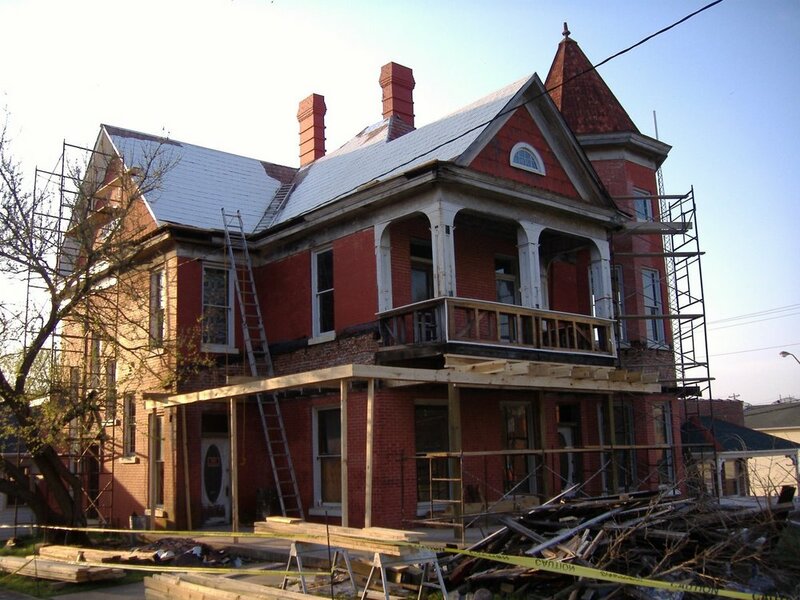 The building of The Garrett House began around 1895 by its’ namesake, the locally prominent Mr. James W. Garrett. Records indicate that, due to a fire, it was not completed until around 1909. From modest beginnings, Mr. Garrett became a beloved figure within the community. He served as a public school teacher and the mayor of the town of Lawrenceburg. In his later years along with his wife, he was a prolific philanthropist. Garrett also served on the board charged with hiring for the construction of Lawrence County’s famed courthouse of 1905. It is noteworthy that the resulting courthouse closely mimicked the style of The Garrett House with a painted red brick facade and two corner towers. Mr. Garrett died in 1929, shortly after his wife’s passing. His daughter later sold the home to a local doctor who used it as a clinic for many years. 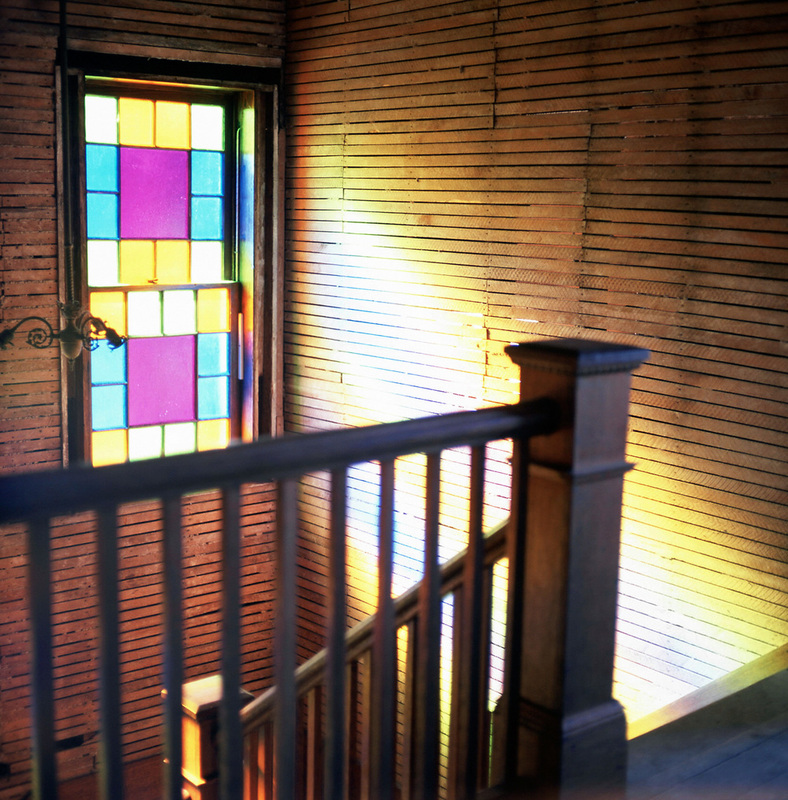 Little is known about the home’s history from the 1930‘s to 2004 except that it was left in terrible disrepair. Bob and Teresa Kelly rescued the home from almost certain demolition in 2004 and have painstakingly restored it bit by bit over the course of several years. With its’ corner tower and six foot finial, grand staircase, decorative interior bargeboard, intricate spandrel, and egg-and-dart detailing, the home is considered an excellent example of late 19th century Queen Anne Victorian architecture and craftsmanship. The Garrett House was officially listed on The National Register of Historical Places in 2005.